Pride month is just a day away, and the Cleveland community isn’t afraid to celebrate loud and proud. 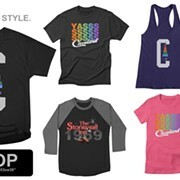 Between a new “pride shop” clothing line and Pride in the CLE's parade and festival this Saturday, plenty of rainbows are on the horizon. 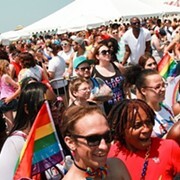 But for those looking for even more ways to celebrate the Lesbian, Gay, Bisexual, Transgender and Queer/Questioning community, whether that be with the whole family or with those 21+, here are some events to ensure celebration all month long in Northeast Ohio. The region's first gender inclusive race to include a gender nonconforming category, in addition to male and female categories, this 5K run or one mile walk starts at the Lower Kite Field of Edgewater Park. The registration fee is $30, which includes a T-shirt or tank top and chip timing. All proceeds benefit the LGBT Community Center of Greater Cleveland. Step-off is at 7:30 p.m.
Get pumped for a free night of fun at the official Pride in the CLE kickoff party. 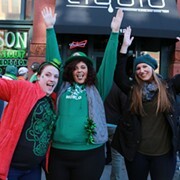 Food and drinks, a DJ, live performances, local drag queens and a celebrity appearance by Thorgy Thor from RuPaul's Drag Race Season eight and All Stars 3 will grace Flats East Bank from 8 p.m. to 1 a.m.
One of Cleveland's last remaining gay hot-spots, Twist Social Club is set to host LGBTQ artists as well as provide glow sticks for a night of dancing in the dark from 9 p.m. to 2:30 a.m. No cover charge, but the event is 21+. Dust off your bicycles and get hyped to ride about 15 miles roundtrip. Starting at 9:30 a.m., this scenic bike ride beginning at Gordon Park will go at an easy pace and end up at Public Square in time to enjoy Pride in the CLE's festivities. For more information, check out the Facebook event. Vibe Bar + Patio hosts a pride cookout featuring burgers and dogs from 8 p.m.-10 p.m., along with a dance party from 10 p.m. until close. Also expect trivia and plenty of music videos. Admission is free for this 21+ event. A dance party presented by Black Space Productions and Pride in the CLE commences at Lava Lounge from 10 p.m. to 2 a.m. The cover charge is $5, DJ Candifresca is spinning and the event is 21+. 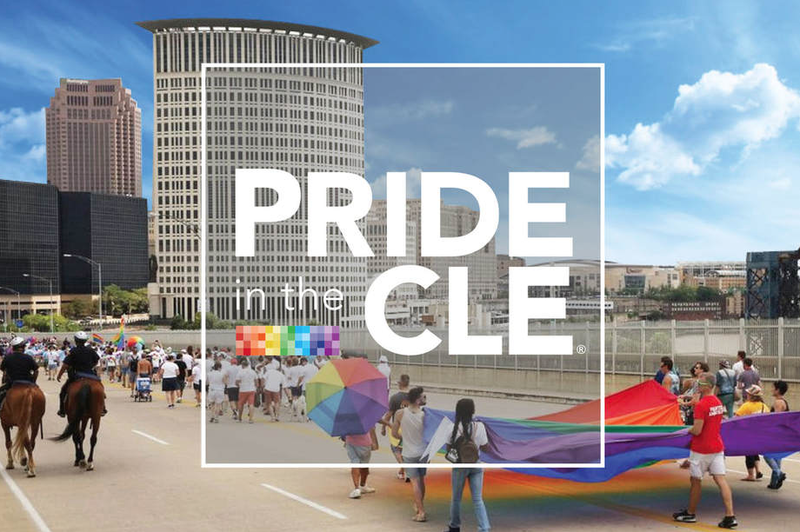 Whether you want to pay for the brunch buffet or not, this official closing event of 2018's Pride in the CLE takes place at Merwin's Wharf and goes from 11 a.m. to 3 p.m. 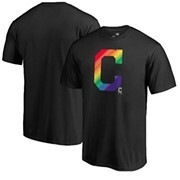 It celebrates the international and cultural sporting event for the LGBT community that took place in Cleveland in 2014. As Gay Games 10 heads to Paris this year, this event serves to reminisce and pass the torch. As we've already covered here, the Capitol Theatre is partnering with the LGBT Community Center of Greater Cleveland to present a themed screening series with a different film each Tuesday in June at 7:30 p.m. Tickets are less than $10 each and 20 percent of all concession sales will benefit The Center. Exercising in public can be intimidating, but maybe less so when alcoholic beverages are permitted. This social workout at CTOWN East Bank from 6 p.m. to 8:30 p.m. is free for participants, but encourages donations to benefit the LGBT Community Center of Greater Cleveland. Tremont Athletic Club will soon be the site of a yoga and cocktail experience that benefits the LGBT Center of Greater Cleveland. Tickets are $25, and the event goes from noon to 2 p.m. Enjoy some healthy competition among your favorite Stonewall Sports Cleveland lip sync divas, as well as some new ones from 5 p.m. to 8 p.m. at the Winchester Music Tavern. Performances will include fake blood, Adele's actual wig, a live birth onstage, an army of Britney Spearseses and more. Whatever all that means. Story time! Listen to real PRIDE stories in this safe space provided by Jammy Buggars. 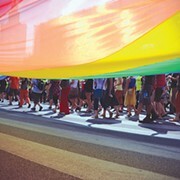 If you want to try your hand at telling one of your PRIDE stories, submit the summary to letitoutstories@gmail.com. The cover charge is $5 and the show starts at 8 p.m. sharp.